Just writing this short post to let you know I’m going to try something new. It might sound like a big thing, but not to worry, my style will never change. What I am going to do is trying a new type of body. 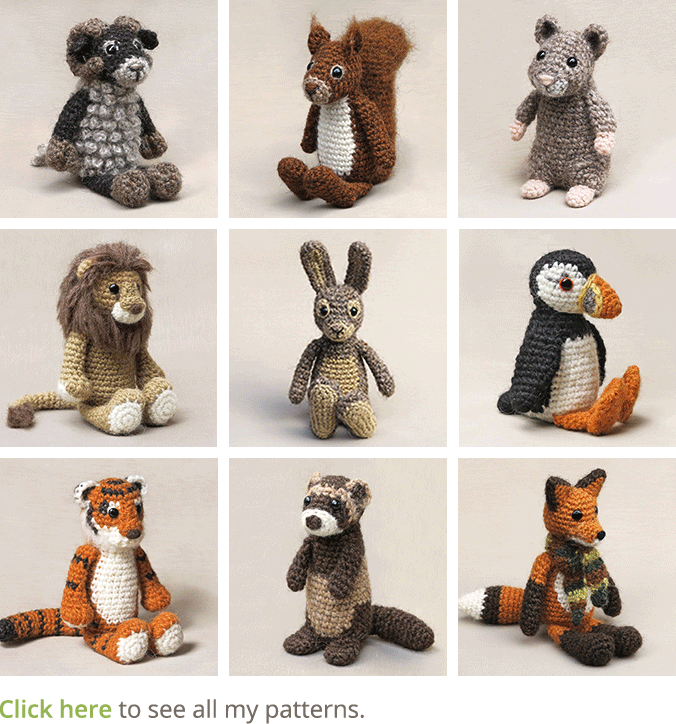 For a long time I’ve been thinking about making more flexible crochet animals. The idea is that these dolls can lie on their bellies, but can also sit upwards. To make them more soft and flexible I’m thinking of using a different, thinner yarn, called Drops Alpaca. I have no idea if this will work, and maybe I’m able to get the right result with Lett Lopi, but I need some time to work it out. I also hope to create a type of body that needs less assembling in the end. Sno & Snoosle and Poochey & Fudge already are a start of that, but I want to take it a few steps further, where you create holes from where you later can crochet ahead for the arms and legs. I’m very curious myself how that will work out. I’m very excited about this for a while now and finally decided to give it a go. 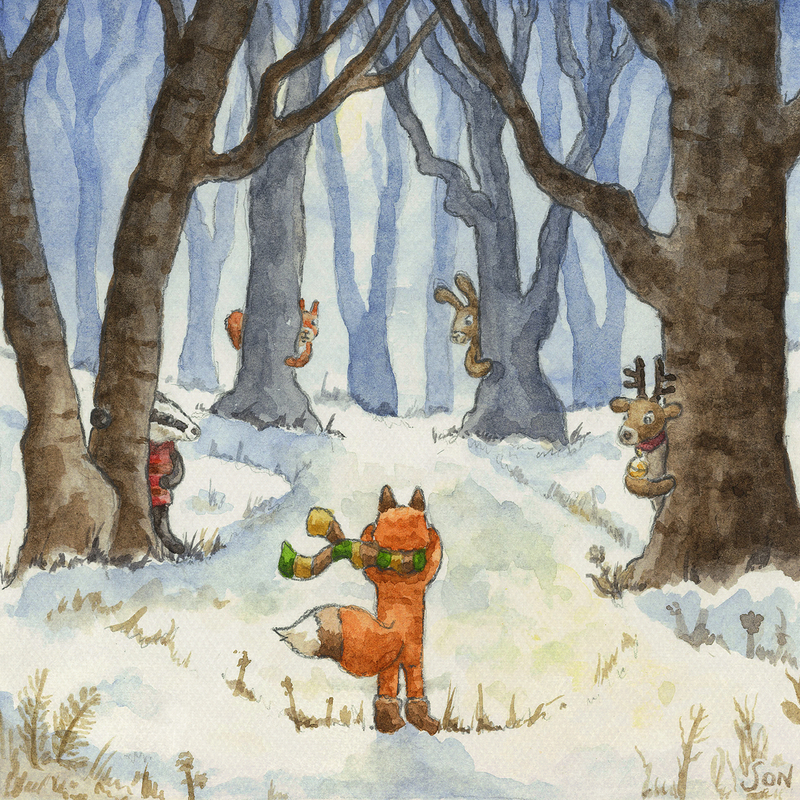 I’m starting with a playful little fox. I can’t promise there will be a pattern soon, but I’ll try my best to create the fox pattern I have in mind. Hi there lovely crafters! I’m writing this from my garden office. The weather is so very lovely finally, how can I sit inside while it is nice and warm outside? Yes, I am finally working on my new otter pattern. After all the updates, I was really looking forward to a new project but forgot my hard working boyfriend had a week off. Of course I wanted to do fun things together and go out into nature. The otter had to wait a bit. Despite all our outdoor activities, I did finish a lovely head and am now working on the rest of the otter and the pattern. Most of you know I already made an otter pattern once, but I decided to make a completely new version, a much more mischievious looking one. This otter will have a younger and more whimsical appearance. Basil is a lovey otter, but he misses a bit of the characteristic funny otter looks. There are two other patterns I almost can’t wait to start on. I already bought yarn for a giraffe pattern and after that I want to make an alpaca pattern, yes! I saw alpacas in a field and they are such silly looking creatures, I love them and all their fuzziness. I think I’m going to use an alpaca yarn to make one, how exciting! 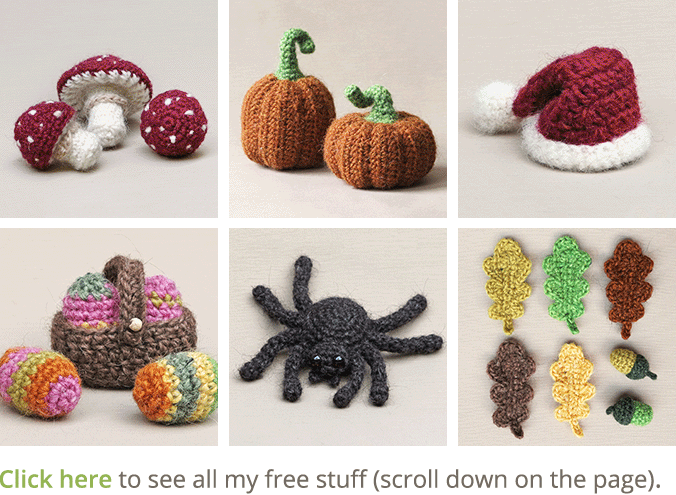 See you soon with new and fun patterns! Hi there, here’s an update on the progress of the updates. I am using the word ‘update’ so often these days I’m even dreaming it, lol. But I don’t mind doing it. The lovely thing about updating older patterns is, and I mean the big updates with new pictures and all, is that it reminds me of how beautiful some of the older animals are. 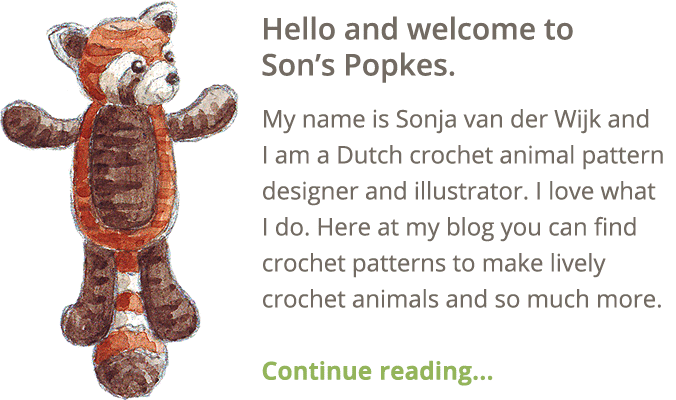 Because their pictures looked less impressive and new crochet animals shift my attention, I seemed to have forgotten about them. But look at this! When I added this picture to Dandylion’s pattern I thought ‘wow’! 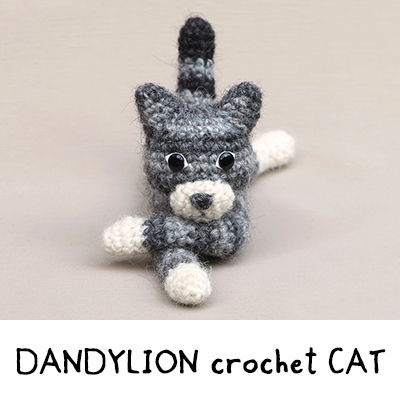 Despite his basic shape, Dandylion is the funniest and most mischievous looking crochet cat you can find. I really enjoyed updating his pattern. I also updated Teddy’s and Balloo’s pattern. With the new pictures, they too look like I designed them recently and I love how they look now. Together with my editor, I’ve re-written the instructions for Dandylion’s head, which you don’t crochet in a spiral. With these new instructions you get an almost invisible colour change. It’s brilliant! And the pictures are new, but that’s obvious. When I took new pictures of Balloo, I realised he looked much more like a lamb than a sheep! The pattern has new and improved pictures. Teddy is the first original Son’s Popkes pattern. Now he finally shines bright in his new pictures. The former pictures had some pillows as background and a messy piece of fabric. Not very professional, but despite that people loved him. Next week I’m doing an update on Chief and Rupert. Their bellies need to be replaced by the fancy neater bellies I design nowadays and they can use better pictures too. Happy Easter dear crafters, I really need a little break. Hi crafty folks, I just wanted to give you and update on the progress of the badger. Here is a little teaser image for you. I have a first badger finished and it is already sitting on my bedside table. Now you probably are thinking ‘what am I supposed to do with that info?’ Well, when a doll is finished, I always bring it with me to the bedroom, because I want to have it close to me. You know, like when you were a kid and put your new shoes next to your bed. Or was that only me? Anyway, now you probably will understand I love this badger plushy to bits. It wasn’t easy to create this more realistic shaped pattern and I got stuck many times. I will tell all about that when I publish the pattern. 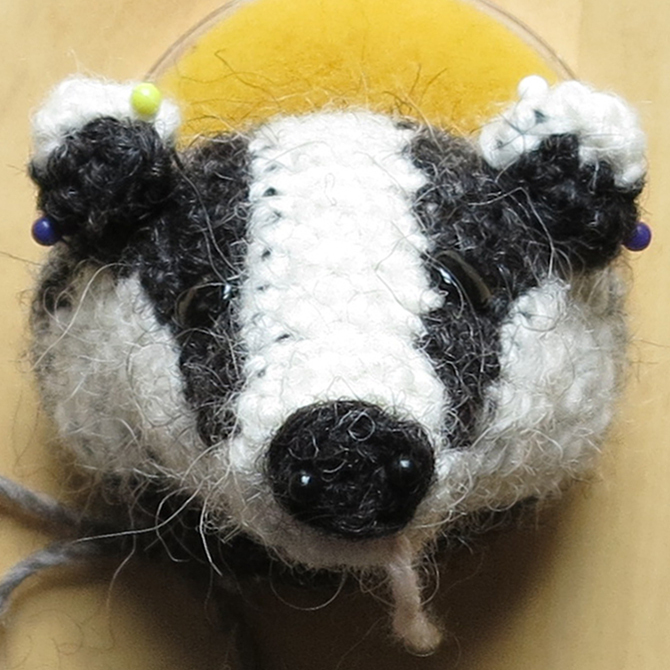 What I can say now is that this crochet badger means a lot to me. Badgers are me favourite animals and after seeing one in the wild this summer it is very special to now have a homemade miniature badger next to my bed. I think this badger radiates my love for the animal and will make a very special pattern for all animal and badger lovers out there. And one more thing. This crochet badger is brushed and to be sure all the proportions are good before I could do the promo and pattern photoshoot, I had to finish a first badger. I also want pictures in the pattern of how you assemble the animal, so I needed an unfinished doll for that purpose. I am happy to say everything turned out good so that means I will have two almost identical badgers. Maybe I will sell one off them. I have to think about that. Sometimes a small coincidence can make all the difference. After I finished the piglet pattern, I started thinking about what animal to make next. Usually, I already know what to make next when I am working on another one but this time that wasn’t the case. That was until I saw this lovely crochet horned sheep on someone’s Instagram feed. It was not made in my style but it looked so nice and interesting that I could immediately visualise how I could make a fabulous sheep, it was instant inspiration. In fact, it made me so excited I wanted to start right away! And I did. The sheep is already finished and looking spectacular. Now only the pattern needs to be written, edited and tested and I can hit publish. I assume you are curious about the kind of sheep I made. I based my sheep on a local heather sheep called Drents heideschaap. It is a sheep I often see on our hikes through the countryside. The sheep are curious and friendly grazers with a slender build and long tails. The males have these gorgeous horns that grow in a lovely curl. In my ‘about’ story I added a picture on which you see me walking with a tail of curious sheep, that is them indeed, but just the hornless females. In the last picture below (from the web) you see how the males look with their impressive horns. Oh, I am so excited to show you the finished sheep and hope to be able to do so by the end of this week. Here are some glimpses and one funny pic of a curious young sheep I met this week. This fresh new year, I am starting with a very special project. I am making the pattern for a fossilised monkey. And it is not even that simple, the monkey I am making is a prosimian or a lemur monkey. The researchers are not completely sure about it. This monkey, called Ida (based on Darwin’s name), died 47 million years ago and was found in Messel, Germany. Why am I making a fossilised monkey that lived 47 million years ago? To be honest, I’m not really a monkey fan. They just aren’t my kind of animals. I do love some lemurs and prosimians and please don’t get me wrong, I don’t dislike monkeys, but they aren’t on my list of cute and cuddly things that make me feel all happy like when I see a guinea pig, fox or squirrel. But this Ida monkey does! This was the cutest and most beautiful monkey ever. A friend of mine, who is a wildlife and paleo artist, made the most fabulous illustrations for a book about Ida. Because Ida was so very well preserved, Esther could draw her exactly as she looked, except for the colours. They couldn’t see those from the fossil so she had to chose the most likely colours. And how she portraid Ida, I was in love with her from the start! She made the monkey look so gorgeous and exotic. Ida is a lemur or prosimian monkey and has this specific type of body. I really like the shape of her head and flexible form. She is perfect for the monkey I like to make. The coloured illustration you see is one of the illustrations Esther made for the book. Ida is the baby monkey carried by the mother.